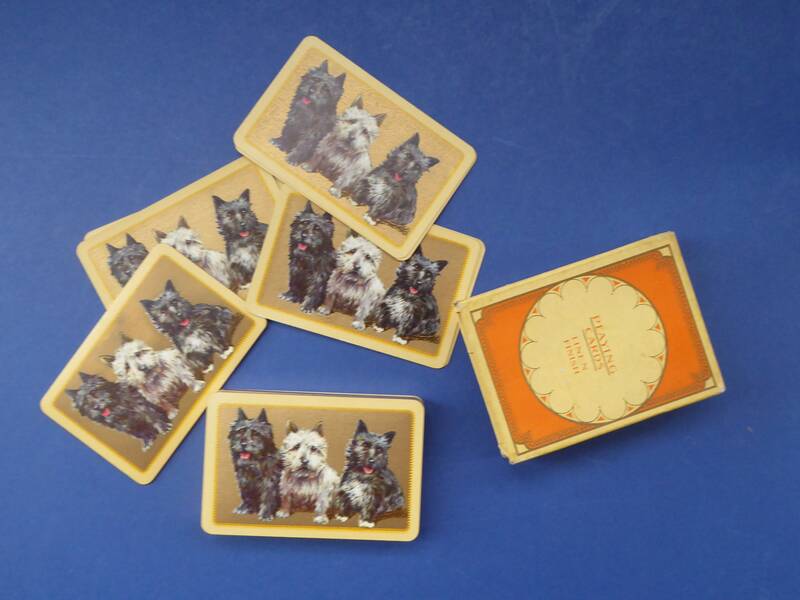 This is a very lovely set of vintage Art Deco playing cards. 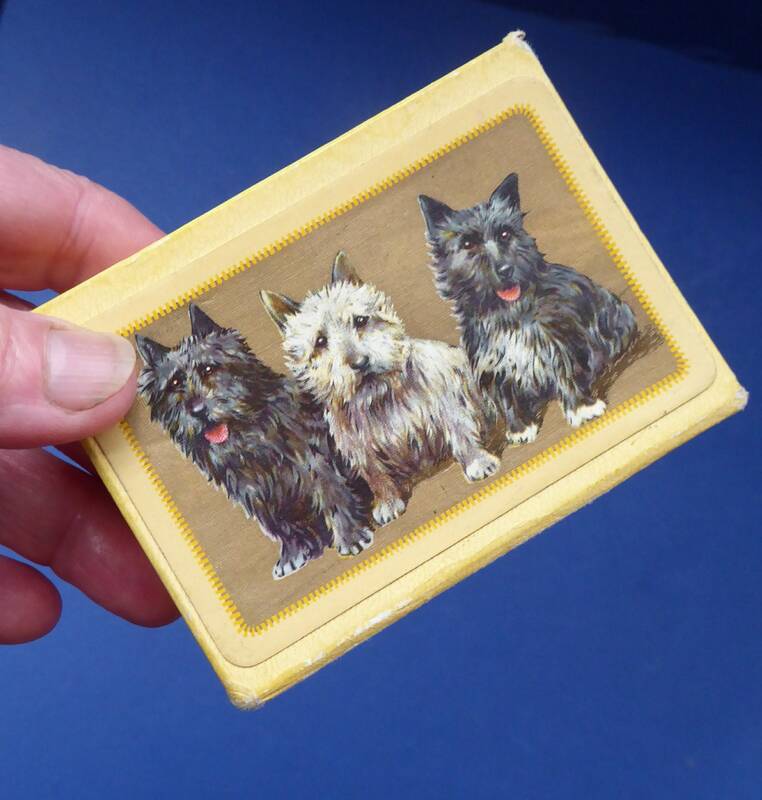 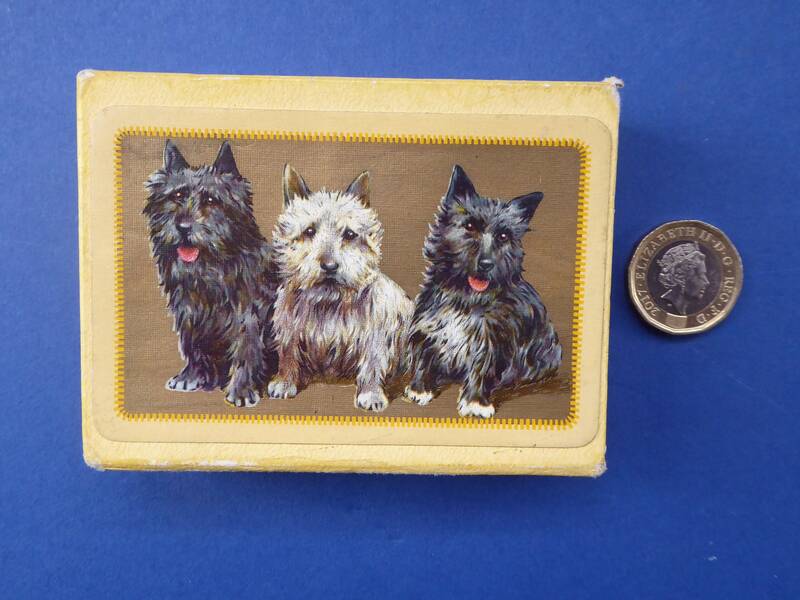 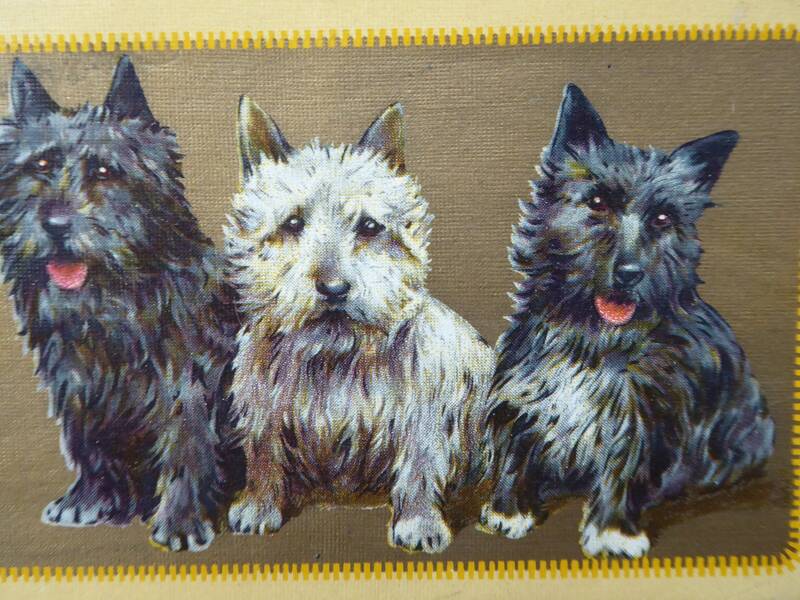 The deck dates to the 1930s and shows three cute little terrier dogs - a Westie, Scottie and Cairn terrier - on the back of each card. 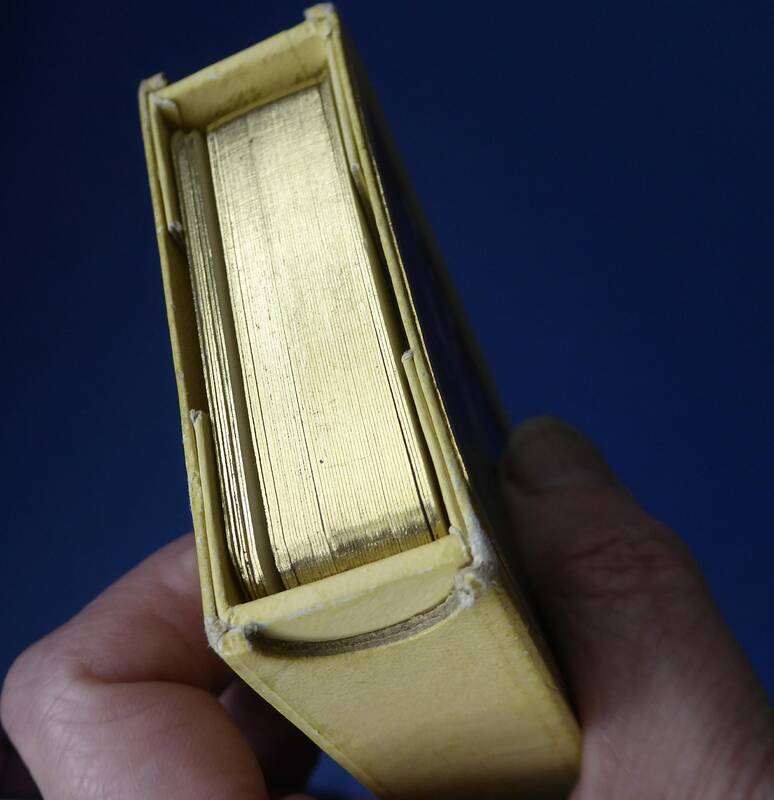 As nice a deck as you might find - all the cards are nice and clean - and from what I can make out - unused - all the gold gilding on the edges is present and not discoloured. 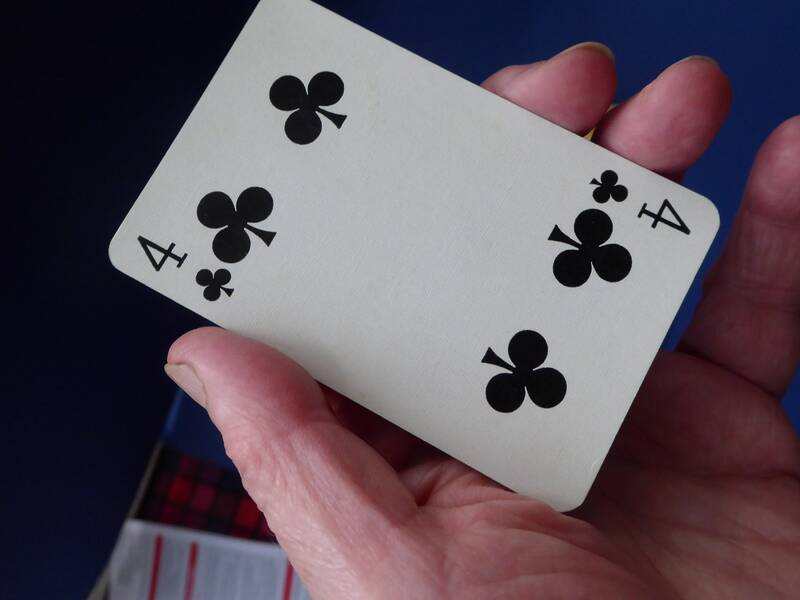 When you hold the deck in your hand - you can see the edges glisten in the light (as photographed). 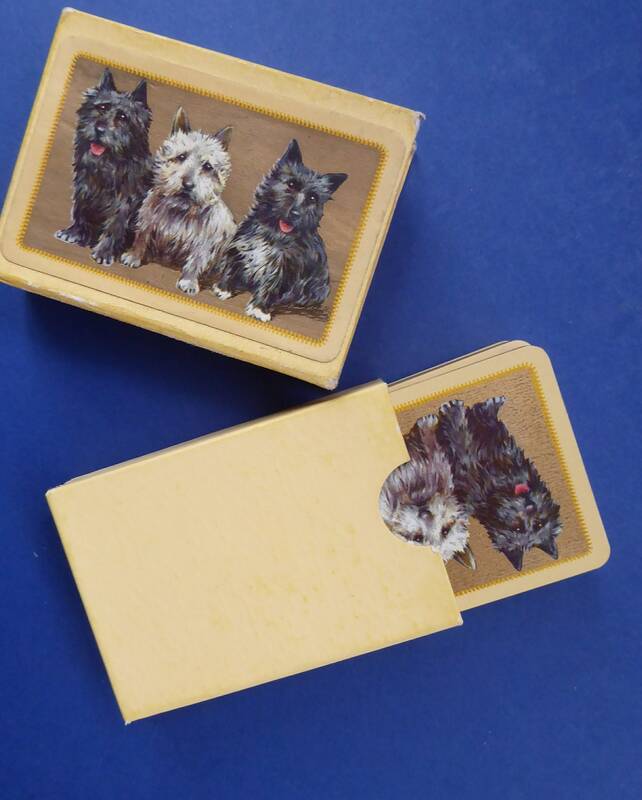 These playing cards featuring such cute doggies are very collectable. 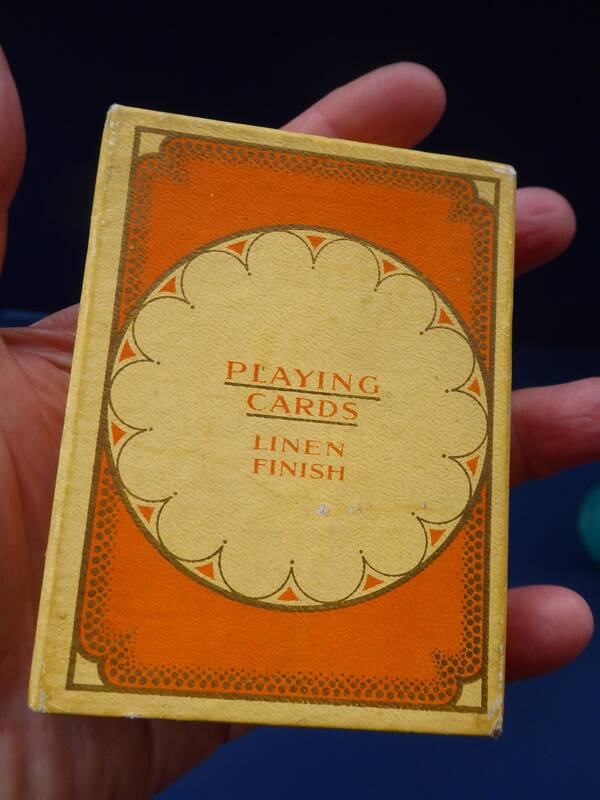 They are good quality - linen backed and in their original card box - all as photographed. 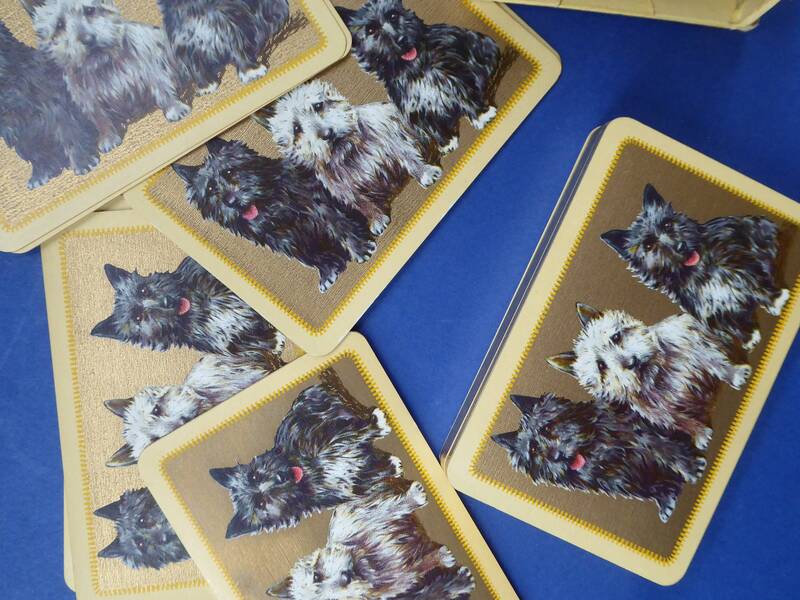 HAPPY TO POST INTERNATIONALLY, PLEASE ASK FOR FOR POSTAGE QUOTE OUTSIDE OF THE UK.